Surgery is scary. There is no denying it. With every surgery comes a certain amount of risk. On top of the pain, there is the worry that accompanies going under the knife, the cost, and significant recovery time. In the face of this worry, modern medicine is evolving at rapid rates and changing the way we look at surgery. Some of these worries are beginning to look like worries of the past. Medical procedures can be categorised into two groups: surgical or non-surgical. Non-surgical procedures are considered so because they do not break the skin i.e. diagnostic physical exams, imaging studies. Surgical procedures involve breaking the skin to get to the root of the problem. Sometimes, surgical procedures are optional not entirely necessary, but a way to nip a problem in the bud. However, in many cases, surgical procedures are a last resort and can mean the difference between life and death. Even if you cannot avoid the surgery altogether, there are steps you can take to give yourself the best chance of a speedy, complication-free recovery. Health professionals advise that patients be in as healthy a state of mind and body as possible. it’s essential to the success of the surgery and the recovery process. The healing process after a surgery takes a lot out of a person. For best results, prepare adequately and get enough rest. A general rule of. thumb is to refrain from eating or drinking anything eight hours before your surgery. This is to prevent an aspiration, when the contents from the stomach spill over into the lungs, from occurring and causing significant damage. it’s important that you share any allergies you may have with your doctors. Not only do they need to know what you are allergic to, but they also must be informed about the way you react to said allergens. 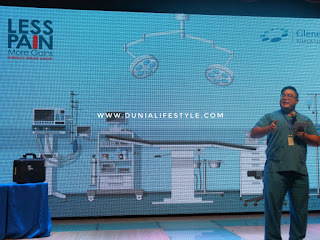 This way, they can take precautionary measures to keep you safe during the surgery. Nowadays, there are two kinds of surgery available for most procedures. There's traditional open surgery as well as minimally invasive surgery (MIS). MIS has been available for and perfected over the last few decades. it involves the use of specialised instruments and trocars (or cannulas) that act as protective doorways that allow surgeons access to the abdominal or pleural cavities while also protecting the tissue. Make sure you take enough time off work to ensure you don’t have to rush through your recovery. if going through open surgery, be prepared to set aside 6-8 weeks for your recovery. MIS procedures boast a much faster recovery time because of the smaller incisions required you can expect to be back on your feet and to normal activity within the week of your surgery. Surgical procedures are not cheap, but there’s more than just the cost of the surgery to take into consideration. Open surgery may look more affordable than MIS if you look at the cost of the procedure alone, but if you factor in hospital stay, potential complications, and the opportunity cost of taking time off work most people find that MIS is a more cost effective method of having surgery. Gleneagles Kuala Lumpur is on a mission to pull back the curtain that shrouds surgery. By equipping patients with the knowledge they need to prepare for and choose their surgical procedure, the hope is that fewer people fear surgery and more begin to look to it as a practical solution rather than a last resort. Some of the common procedures that can be executed via MIS are endoscopies, laparoscopies (around the abdomen and pelvis), and arthroscopies (around bones and joints). Dr. Paul Selvindoss (colorectal & laparoscopic surgeon) and Dr. Charanjeet Singh (orthopaedic surgeon), both stationed at Gleneagles Kuala Lumpur, are a couple of the most talented practitioners of MIS in Malaysia. During an intimate session with the media, these MIS professionals shared their personal takes on MIS. Minimally invasive surgery is still a developing practise. As technology improves, the instruments are becoming more versatile and dexterous. Surgeons are becoming more skilled as the training methods advance. All these factors point to MIS becoming the new default surgical option where possible. 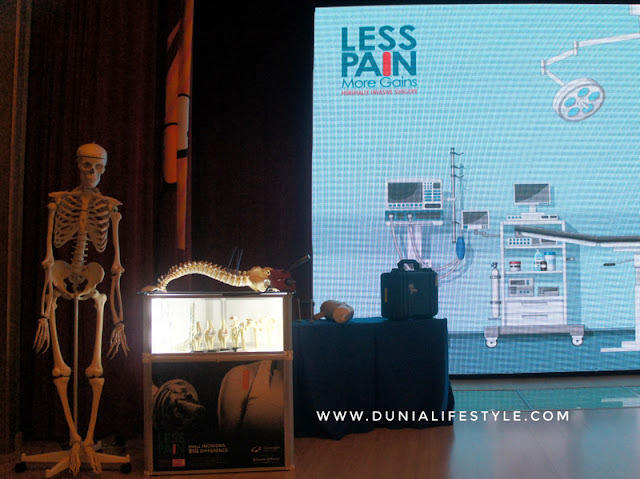 To give the public the behind the scenes look of MIS, Gleneagles Kuala Lumpur is currently hosting an exhibition on MIS to raise awareness about the procedure. Even though it has been available in Malaysia for around 30 years, it is still not widely discussed as an option. 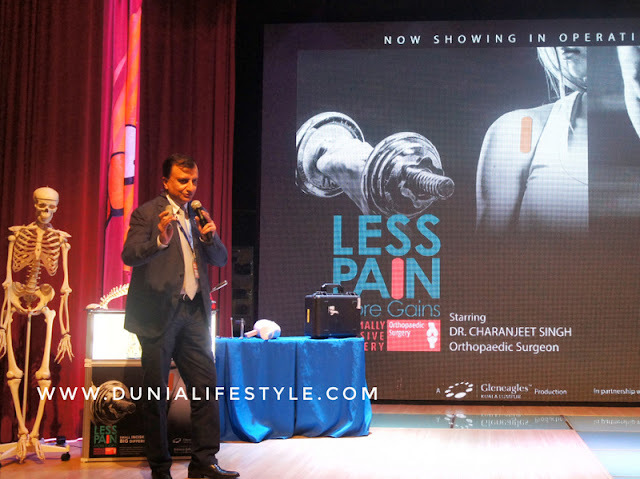 Check out Gleneagles Kuala Lumpur’s MIS exhibition ”Less Pain, More Gains” at Lobby B of Gleneagles Hospital. Find out more about the history of surgery and try your hand at MIS.